Register Log In AmbergrisCaye.com Home Forums Photographs Elvi's Catch of the Day: 52# Black Snapper! Our catch of theday is a bit larger than normal today! 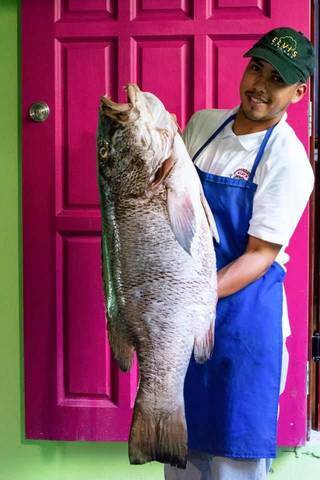 This 52lb black snapper is waiting for ya, so come on over for lunch or dinner.